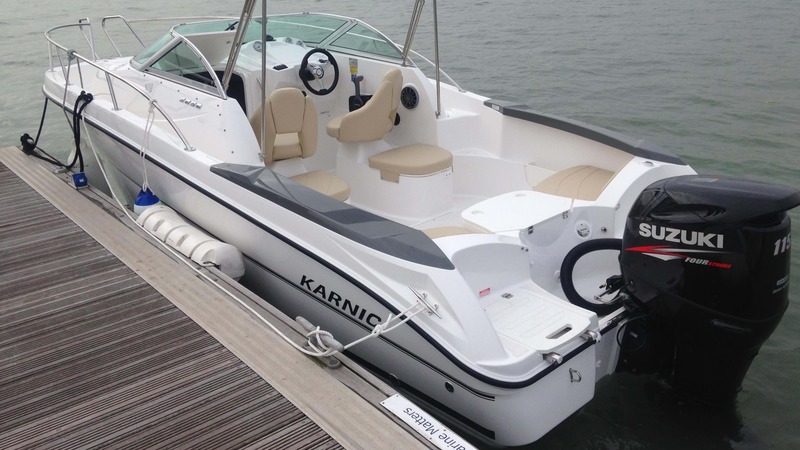 Karnic engineers give high emphasis on the design of hull. In fact, every shape, dimension, edge or corner on each Karnic hull has been designed to serve a purpose. Pronounced and deep spray rails on the hull bottom at the right position and length, reverse shape of chines, variable bottom 'V' angle, the presence of planing pad, waterline beam and topside flair, are significant parameters to achieve an outstanding water behaviour in calm and rough conditions, in motion or at rest.